Our previous posts touched on the inspiring story of Chicza – Mexico’s thriving bio gum-producing SME. Trade Pacts was thrilled to support Chicza’s participation in the recent WTO Public Forum (27 to 29 September, Geneva), with a Panel highlighting the business’s success. The Panel was tasked with presenting how the international trade system can benefit small and medium players, which was also the central theme of this year’s Forum. While Chicza was in the spotlight, other equally insightful presentations are worth mentioning. Massimo Vittori, the Managing Director of oriGIn – a Geneva-based association dealing with geographical indications – described how SMEs can benefit from this form of intellectual property protection, helping enterprises take full advantage of their brands and to compete efficiently in both domestic and foreign markets. Prof. Xiankun Lu from the IDEAS Centre, also Geneva-based, highlighted the significance of WTO’s environmental approach. Environmental improvement is central to Chicza’s bio gum business, with reforestation efforts restoring a land its people have used for millennia. Trade Pacts experts, Marina Foltea and Fernando Gonzales-Rojas, delved into the relevance of international trade agreements for small players, like Chicza, by providing a detailed analysis on how can SMEs can best use these rules. This is relevant to any SME which trades internationally or plans to expand beyond their respective domestic market. 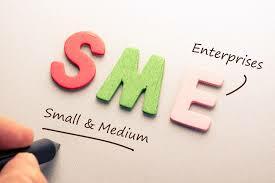 Very few rules in the WTO Agreements address SMEs specifically. The rules are general; applying to all micro, small, medium and big companies. Exporters of goods are required to check the import duties applicable at the border of the importing country (which may be an ad valorem or specific duty on the value of imported goods). This requires that the exporter understand the information provided in the domestic Nomenclature of Goods, which can prove difficult, especially when exporting to sophisticated markets like the EU and US. 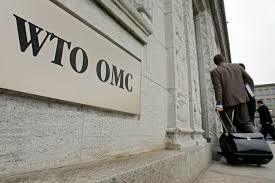 The WTO holds some centralised data on the applicable MFN (general) import duties rates of its 164 Members and other free or paid databases provide this information. Technical regulations for health, environment or other reasons, which may also pose extensive hurdles, increase costs of transactions. Trade in services is more complicated. Though services are traded extensively, they are more regulated than goods, and costs of trade may grow substantially from one mode to another or from one sector to another. Trade in services does however pair well with technologies, like Internet and smart phone support, which enables SMEs to participate in global markets more easily. This normally allows for lower fixed costs and lower start up investments, depending on the sector, and may provide quick returns of investment. Establishing a physical presence abroad is far trickier. Here we can expect an impact from the Trade in Services Agreement (TISA) currently under negotiation. Many compliance procedures and steps need to be fulfilled before entering a market, depending on the nature of the exported goods or service. This may turn out to be complex, translating into additional costs to the enterprise. But, if transparent, costs can be anticipated and the risks managed. Transparency in this situation makes a big difference for an SME. Unlike SMEs, bigger players are often able to absorb the cost of hidden and sudden trade-restrictive measures. Knowledge of WTO Members Accession Reports, Trade Policy Reviews, Notifications and documents from WTO meetings is vital for business in this process. 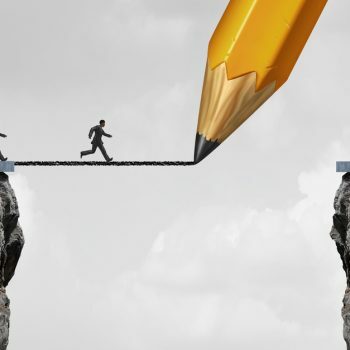 The WTO and a few other international organisations (such as the International Trade Center) are doing an outstanding job at mapping out non-tariff barriers and sharing them on user-friendly platforms. The greater the transparency on this, the more SMEs will be able to calculate their risks upfront and avoid detrimental consequences. Clearly, most risks come from ‘hidden’ non-tariff barriers, those which are difficult to identify given their nature and form. This is where most risks lie. This is where the SMEs’ level of alertness should at its highest! The WTO’s Trade Facilitation Agreement, which remains to be adopted by a number of countries before taking full effect, has a strong SME trade inclusiveness dimension. This agreement, while not crafted chiefly for SMEs, will do more to help this segment of trade, given its objective to reduce trading transaction costs of doing business. The WTO could however do more to enable small players to directly benefit from trading internationally. Another complexity arises from the fragmentation of international trade rules. Ideally, SMEs would apply one set of rules applicable across 164 countries, but the reality is very different. With the expansion of bilateral and plurilateral FTAs – around 400 today – the WTO becomes the base line for trading globally. SMEs are less conveniently positioned to individually analyse this vast number of agreements in order to optimise their supply chains or access export markets. Aside from tariffs, which are often subjected to not-so-obvious gradual reduction schemes, rules of origin require specific value of domestic or regional inputs and certification in order to qualify for the preferences on the export market. SMEs rarely import inputs (although this would benefit them). The benefits may not always be clear without deciphering intricate, and, often, highly technical language, of the FTAs in question. Expert help is frequently required here. Intelligence on international trade law is only part of the puzzle to be solved by SMEs when accessing international markets. As we heard from other sessions during the WTO Public Forum, a story’s success depends largely on the level of managerial skills, the willingness to innovate, and availability of skilled labour in these enterprises. However, knowledge of international trade rules by SMEs – and understanding the many different intricate layers – plays an important role in their expansion to new markets. Trade Pacts, and its network of more than a 100 experts around the globe, are routinely looking into these matters – providing much needed technical analysis and intelligence. We can help demystify the complex language of international trade rules… and make them work for both large and small businesses! Follow us on Twitter @tradepacts or visit www.tradepacts.com to subscribe to our newsletter.